Yep I know, the ‘week’ idea has gotten slightly out of sync, but then again the month isn’t an even number of weeks, so I’m going to let it slide. It was another cooler day, so in the evening I decided to get stuck in and make two dishes. 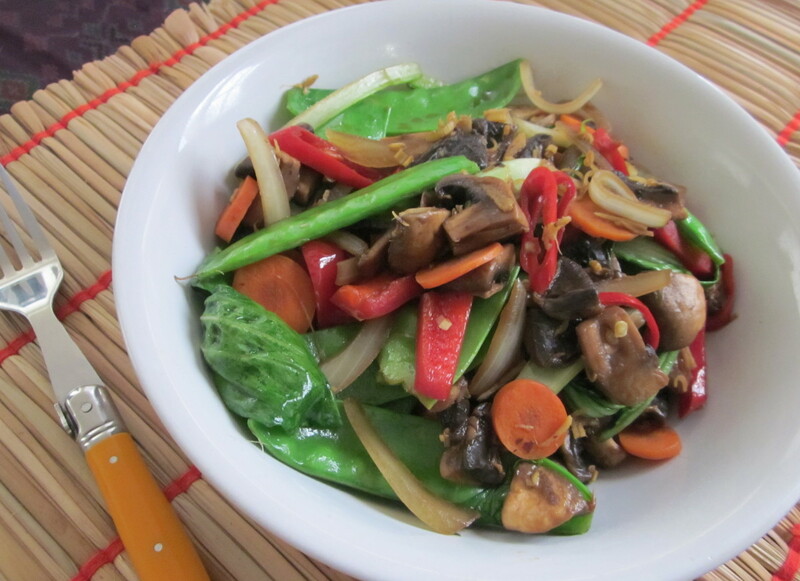 What I really wanted to make was a Ginger Stir Fry … but we were out of ginger! So I made do using a mix of galangal and krachai (lesser ginger), and while it was nice, it wasn’t the flavour I was looking for. I wanted that bite and warmth that ginger has. It’s on the shopping list now, so I’ll get to have another shot at it soon. 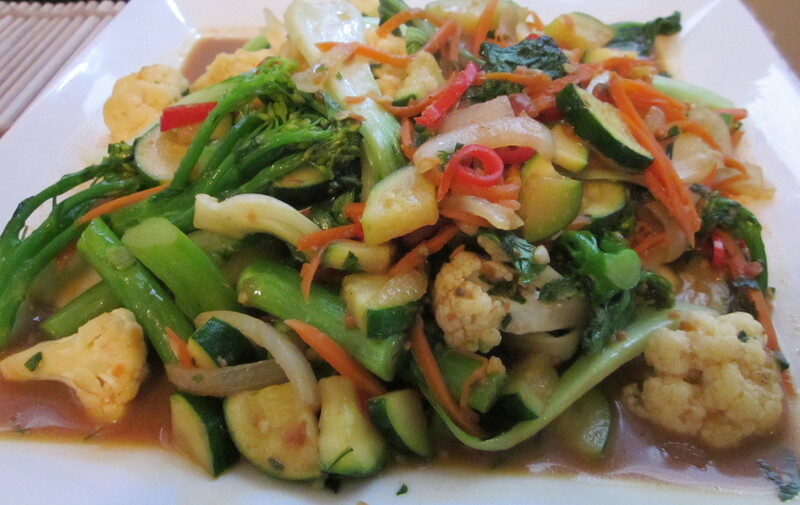 The other dish was Vegies in Yellow Bean Sauce, which did turn out rather well. Yellow Bean Sauce, which is made from fermented soy beans, has a strong and salty flavour. 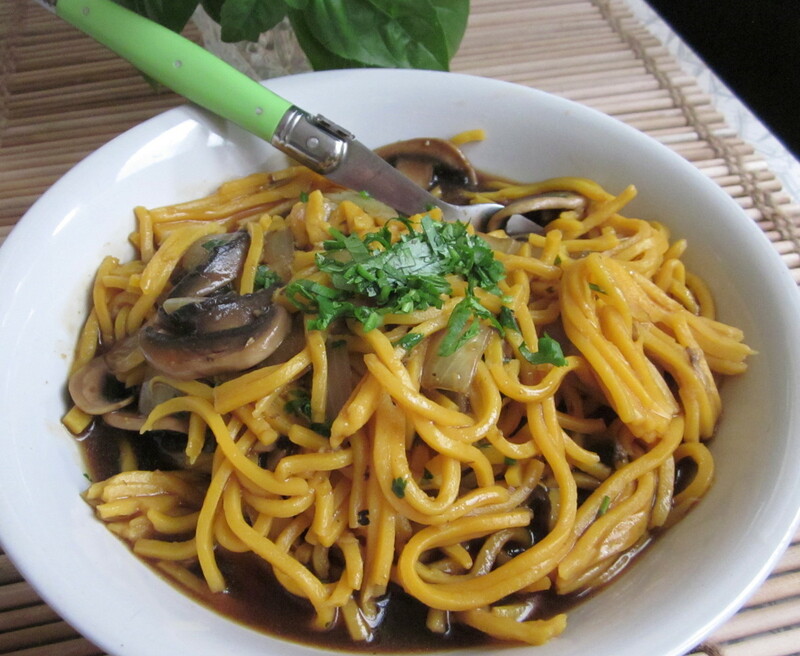 I was feeling like noodles, so got into the kitchen in the morning and made Mushroom Curry Noodles. It’s a simple dish, but really full of flavour. Steve had been keen for a while to make Deep Fried Yellow Bean Sauce, it doesn’t sound all that appealing from the name, but it is delicious. 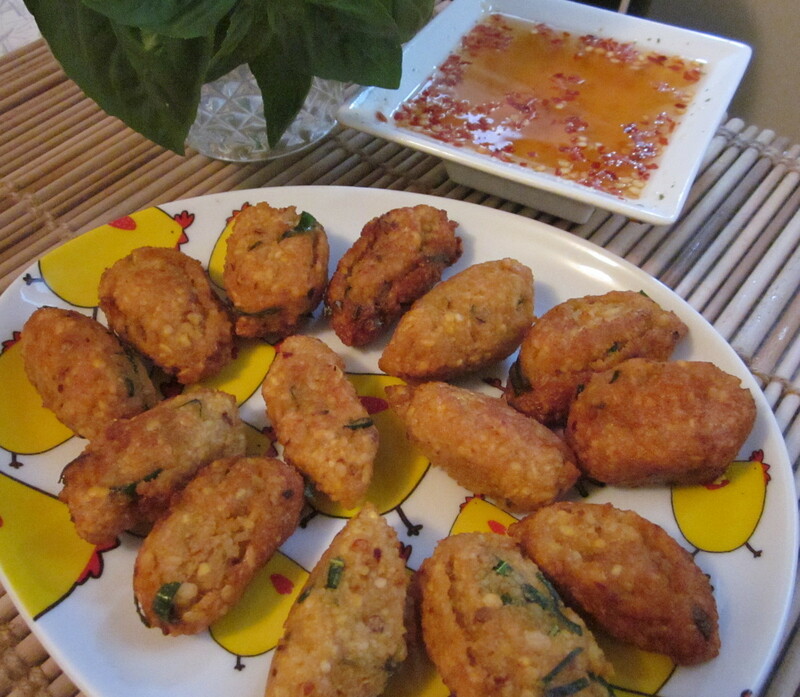 I suspect it’s the closest thing to falafel you’d get in Thai food. Needless to say, there was none of that left over. At this stage, the only leftovers we had were the Mushroom Curry Noodles, of which I did make rather a lot. Steve took up the challenge and made Satay Tofu to have with leftover noodles – always a winner with me! Due to my insomnia, I often find it’s better for me to cook in the morning when possible, before I run out of steam. Quite often by the time evening comes around I’m just too tired to be bothered making anything much. 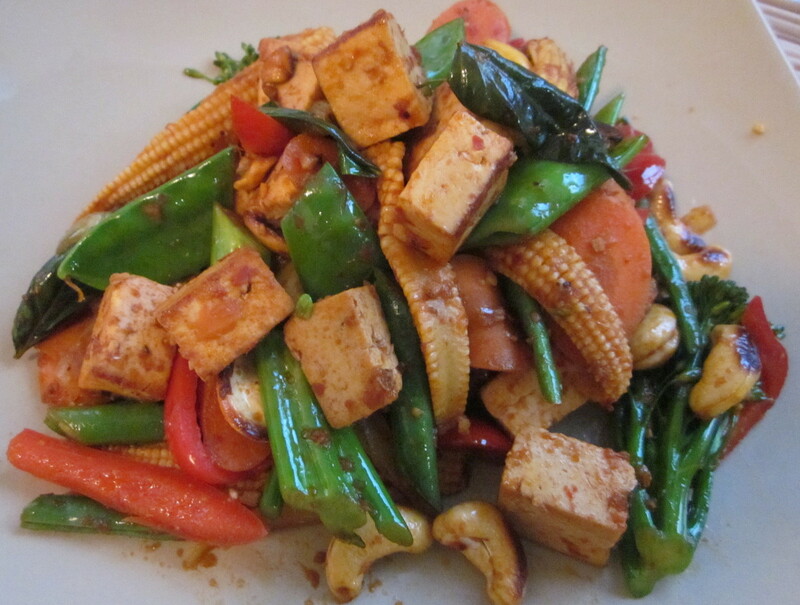 I was keen to have another go at Tofu & Vegies in Chilli Jam, and we’d bought some ginger, so a Ginger and Lemongrass Vegie Stir Fry was on the list too. I was much happier with the chilli jam dish this time around, and the ginger stir fry really hit the spot.